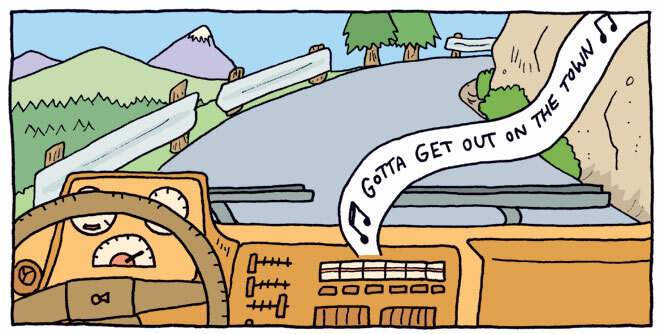 Sometimes your comic needs a little disco music. And I provide a few pages of disco dancing instruction in the book. So I had to learn how to disco dance a bit first. I’m more of a Laser Moose than a Rabbit Boy when it comes to dancing, so I needed help. I got loads of books about disco dancing out of the library, and was practicing dance moves in our kitchen. 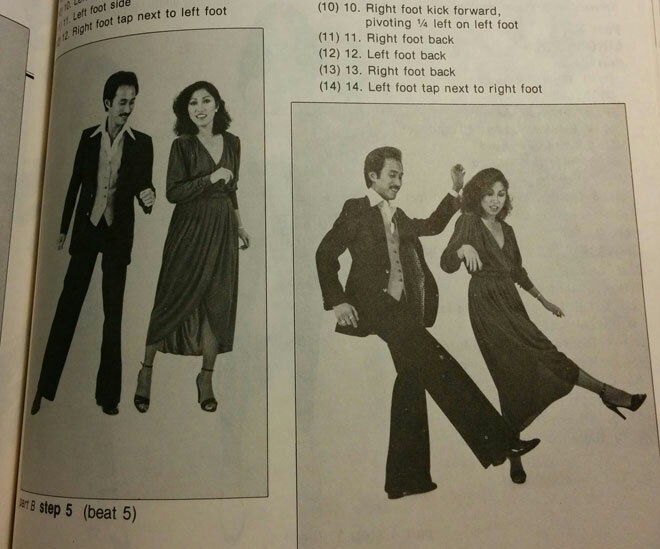 Here’s a sample of the 70s-era instructional guides that taught me all I know about disco dancing. For inspiration, I listened to a lot of disco, funk, and R&B while working on the book. Here’s a playlist of songs that I listened to a lot while I was drawing. Enjoy!